World AIDS Day is held on 1 December each year and is an opportunity for people worldwide to unite in the fight against HIV, show their support for people living with HIV and to commemorate people who have died. World AIDS Day was the first ever global health day and the first one was held in 1988. 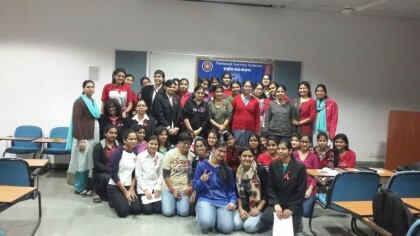 In view of the great importance of the day NSS (National Service Scheme) unit of faculty of Arts, Science and Commerce of Mody University organized a lecture on the topic “Protection of Women from AIDS/HIV” on 1st December, 2014 to spread awareness about AIDS and its harm to the humanity at large. Speaking as key-note speaker on the occasion Prof. Uma Joshi threw light on several aspects of the AIDS and related issues. 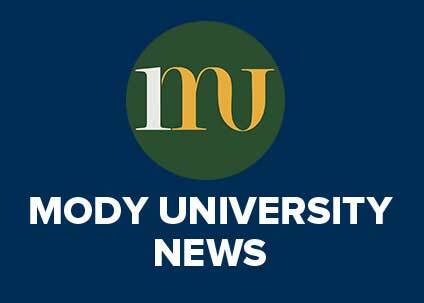 Through her lecture she told the audience that more than 35 million people have died from the virus, making it one of the most destructive pandemics in history. She conducted a quiz competition to raise the awareness about HIV/AIDS; in which students participated enthusiastically. Students and NSS volunteers took an oath to spread awareness among rural people and to help them understand about the disease and virus.